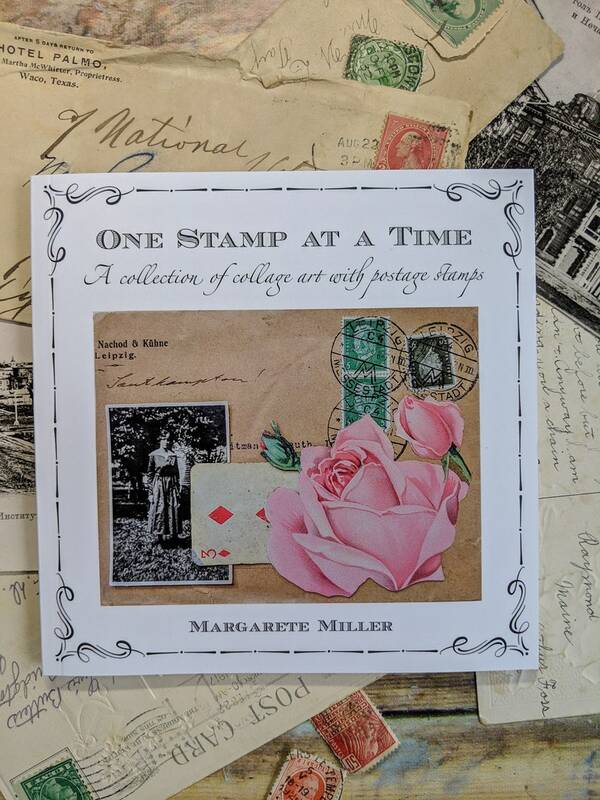 "One Stamp at a Time" is a collection of photos of collage art, all created with postage stamps as an important element that completes each piece. It's an image-heavy photo book with very little text. 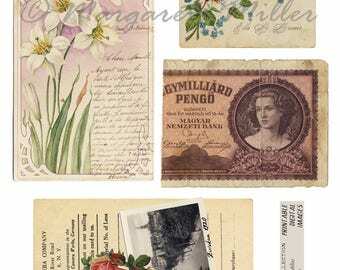 Old postage stamps are my favorite kind of vintage ephemera to collage with. When I pay attention to their unique characteristics—size, shape, color, design, theme, quality, postmarkings, and age—I can find many ways to incorporate them into my own collage art work. This little lookbook is a collection of the different ways I use stamps. 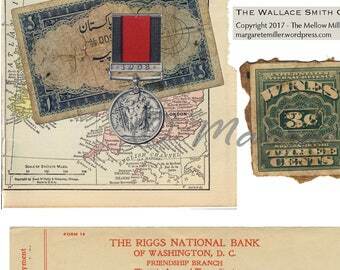 In assembling these photos, I hope to give you ideas for making your own collage art with vintage ephemera, and demonstrate the many ways how a stamp or two brings it all together. Love this little book, am very inspired! thank you! Such a lovely book for collage art inspiration using vintage ephemera and postage stamps. A real treat! Margarete’s book is filled with her inspirational collage work. I love it! 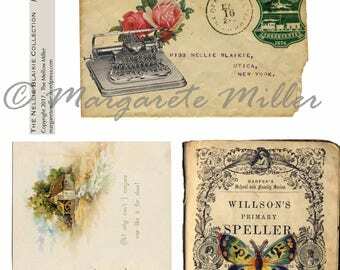 Beautiful and inspiring for collaging pages and postcards and gluebooks. The photography is sharp and colors so beautiful, I found myself feeling the page to see if it was 3-D on some of them. This is definitely a good buy and will be a source of ideas and creativity for me. TY!